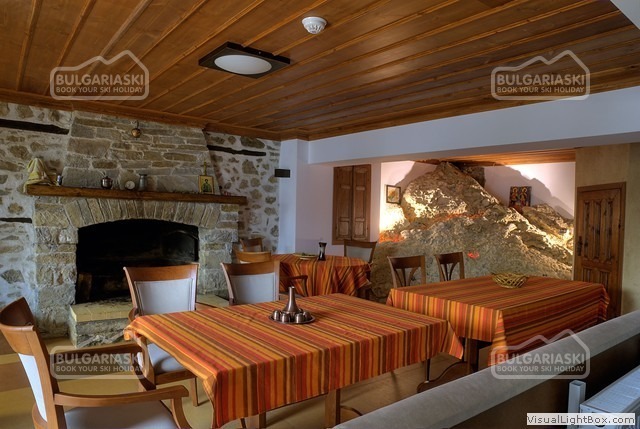 Location: Dragnev House hotel is located in Sokolovci village, 10 km from Pamporovo ski resort, 3 km from Rozhen peak and 80 km south of Plovdiv. 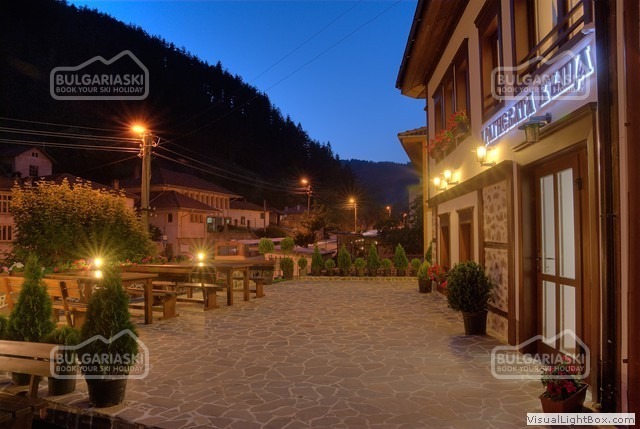 The hotel is situated at 1016 m above sea level in the Rhodope mountains. Accommodation: The hotel features 4 double rooms, 1 double room with extra bed, 1 antique room with a king-size bed and two separate beds, 1 ceiling-windowed room with 4 beds and 2 extra beds. The guestrooms offers individual bathrooms. The hotel is with a capacity for 21 guests. 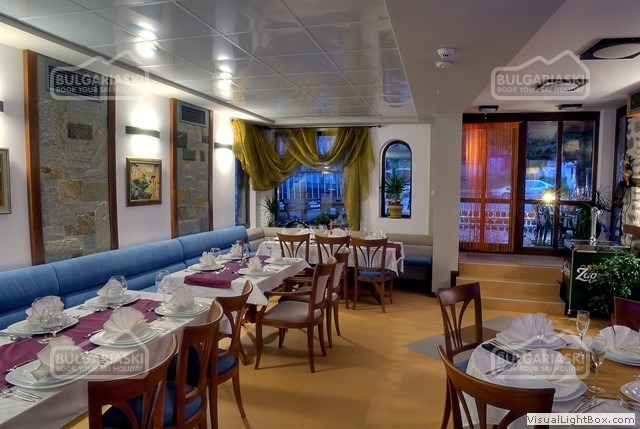 Wine & dine: The restaurant /50 seats/ offers a two levels terrace over the river with extra 50 seats. 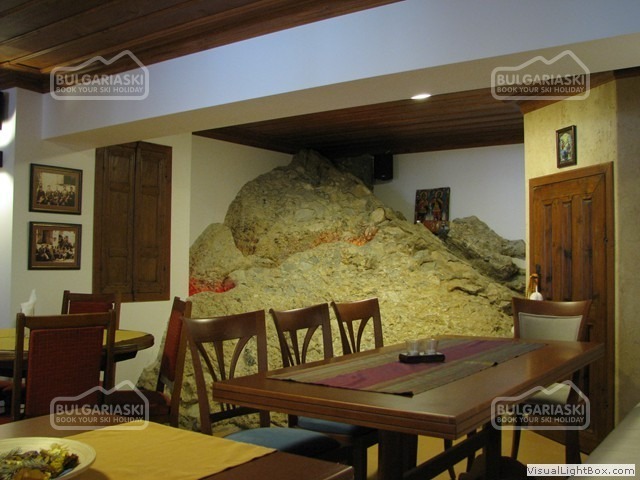 The restaurant serves a variety of specialties from Bulgarian cuisine. 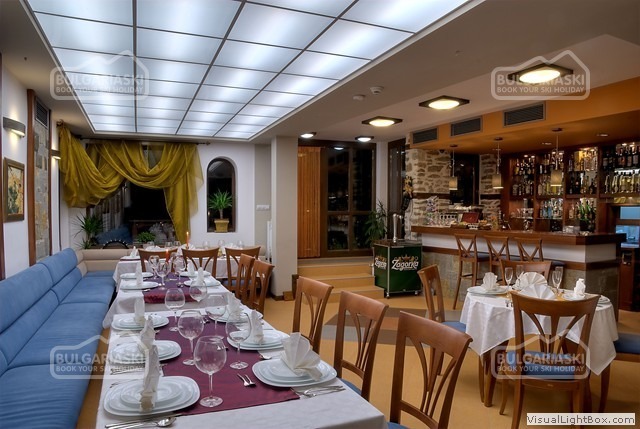 In addition the restaurant offers a large fireplace and open-air barbecue. Sport and leisure: At guests' disposal are sauna and massages. The region offers opportunities for skiing, biking, hiking in the mountain, fishing, horse riding. 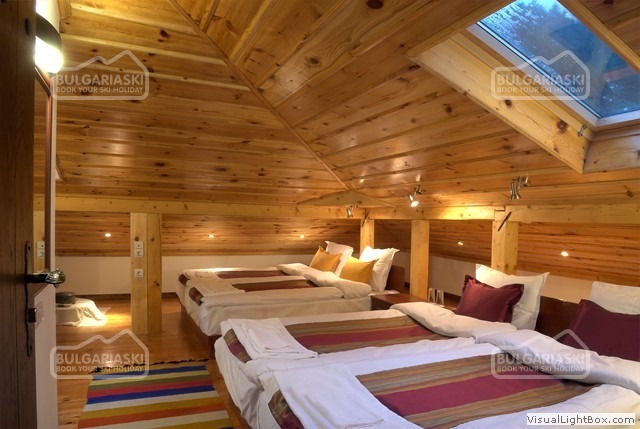 The property offers a smoke-free environment and high-speed Wi-Fi internet. 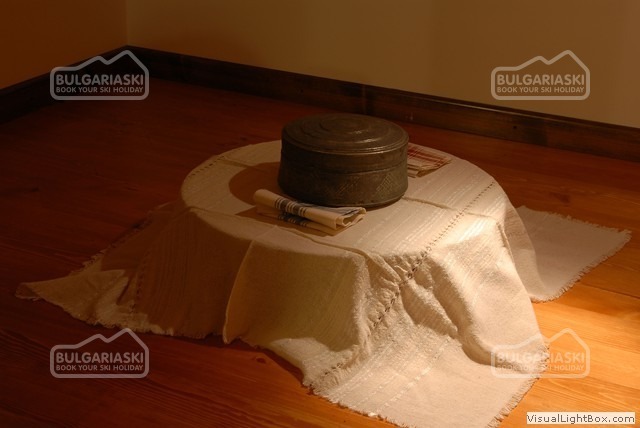 Please, post a comment on Hotel Dragnev House.